Local authorities were on scene for investigations. 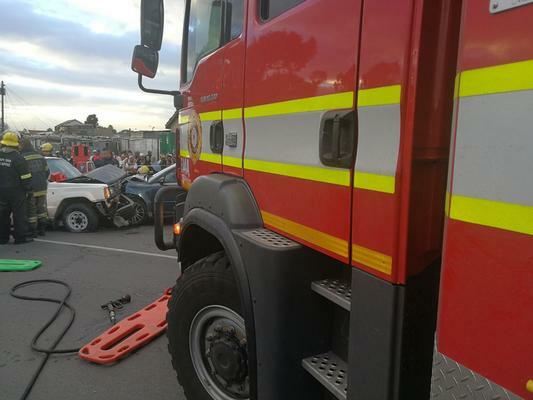 A man was critically injured on Wednesday morning after a head-on collision in Grassy Park, Cape Town. ER24 spokesperson Russel Meiring said six people were injured in the accident between a bakkie and light motor vehicle in Lake Road. Fire and rescue services used specialised equipment to free the critically injured man and he was taken to hospital for further treatment.